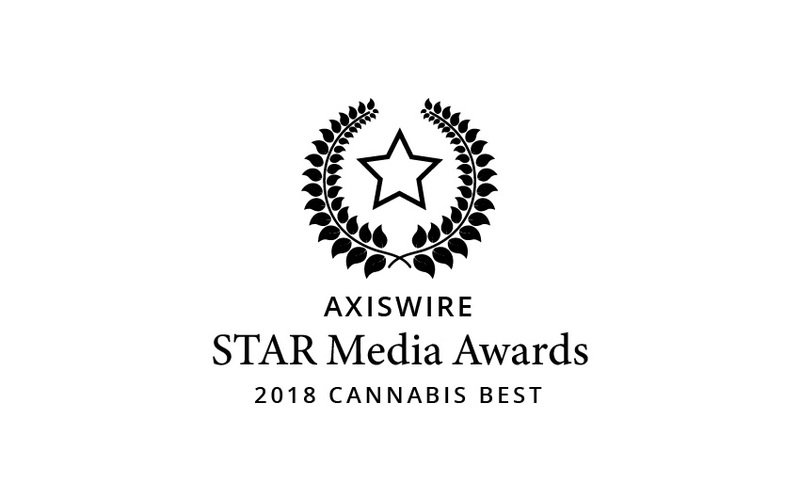 LOS ANGELES, Nov. 20, 2018 /AxisWire/ AxisWire, the cannabis industry’s first tech platform designed for cannabis entrepreneurs to expose their brands and cannabis journalists to seek out breaking stories, announced today the official winners of the inaugural STAR Media Awards. Held in Las Vegas, Nevada, during the Marijuana Business Conference & Expo, the STAR Media Awards were designed to honor excellence cannabis writing; an often under recognized facet of the cannabis industry. Attending the ceremony were some of the best and brightest in the world of cannabis journalism, many of whom have been covering the cannabis space for decades with little to no recognition. Awards for the evening were presented by our keynote hosts that included Dr. Robert Flannery, Debra Borchardt, Rosie Mattio and Shawna McGregor. The event’s sponsors included Dr. Robb Farms, Mood 33 Infusions, Saka Wines, Passport Cannabis, GreenHouse Ventures LLC, PinkHaze, and Gold Q. The evening was flush with brands showering the media with product to thank them for all of their work. The STAR Source Locator is the only platform in cannabis of its kind. This service will connect journalists seeking sources and content with entrepreneurs and industry leaders through a vast network of experts in all divisions of the cannabis space. Subscribers will receive story requests directly to their emails and will cut through the random pitching of press, to an effective pitching process that is directed at stories the journalists are actively working on. STAR is free for journalists and is $99.99 per month for subscribers. AxisWire, headquartered in Los Angeles, is the industry’s first tech platform designed for cannabis entrepreneurs to expose their brands and cannabis journalists to seek out breaking stories. The platform provides a newswire distribution and PR tech suite of services including press release distribution, press release writing, consulting and compliance services. AxisWire also features the STAR Source Locator specific to the cannabis industry to assist in facilitating story development between journalists and brands. This platform was created and now operating through a collaborative merger of the most influential and innovative PR and marketing firms operating within the cannabis industry. AxisWire is positioned to sit at the center of all things cannabis media. For more information, please visit axiswire.com. Follow us on social media @AxisWire.